Zakynthos was called by the Venetians 'the flower of the East' as it is rich in wildlife and flora. The endangered loggerhead sea turtles Caretta Caretta are strongly associated with the island of Zakynthos which has great environmental importance for the turtles. The Gulf of Laganas with its sandy beaches has the highest concentration of turtle nests, more than anywhere else in the Mediterranean, with almost 1,500 nests within the 5km stretch of sand. Around 900 turtles come to lay their eggs on the beaches of Zakynthos. 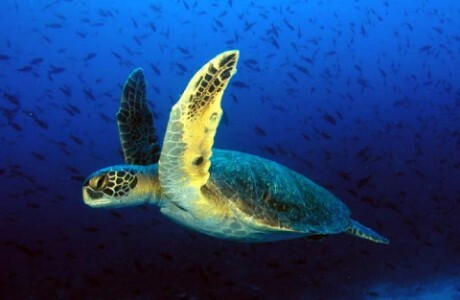 The Caretta Caretta turtles make the longest migration journey of all sea turtles and can lay up to 200 eggs a time. They return again in 15 days and repeat this 3-4 times in the nesting season (June - August). The survival of turtles relies on respect from the human race allowing turtles and humans to share the beaches in harmony. 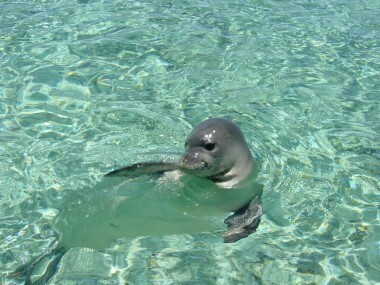 Another species found in the clean seas of the island is the Monachus Monachus seal. These seals are the rarest species in Europe, with only a few hundred still existing in the Mediterranean. The females give birth to their young in remote caves, and most seals are born in autumn. (www.nmp-zak.org ) was created to protect the turtles, flora and fauna of the island and ensure the protection of wildlife habitats. The National Marine Park of Zakynthos is located on the south coast of the island and its objectives are to conserve the natural environment and maintain the ecological balance of the marine and coastal areas of Laganas Bay and the Strofadia Islands. It was the first of its kind in Greece and is an example that other regions in should follow. There are also many other associations and voluntary groups which study and protect marine turtles, offer information and raise public awareness as well as care for injured and sick turtles such as the group "ARCHELON"
Sometimes, you can see dolphins diving into the sea from the shores of Zakynthos. These beautiful marine mammals swim alongside the boats and are known for their contact with humans. Apart from the mentioned famous wildlife associated with the island there is also a wide range of other animals. From pets, cats and dogs, animals for agricultural use such as chickens, sheep, goats, cows, pigs, donkeys and horses there are also many birds which during their migration, stop on the island.